This unique design will help you stand out in a good way! Hand crafted from 7/8 oz. medium weight leather with layers of 7/8 oz. 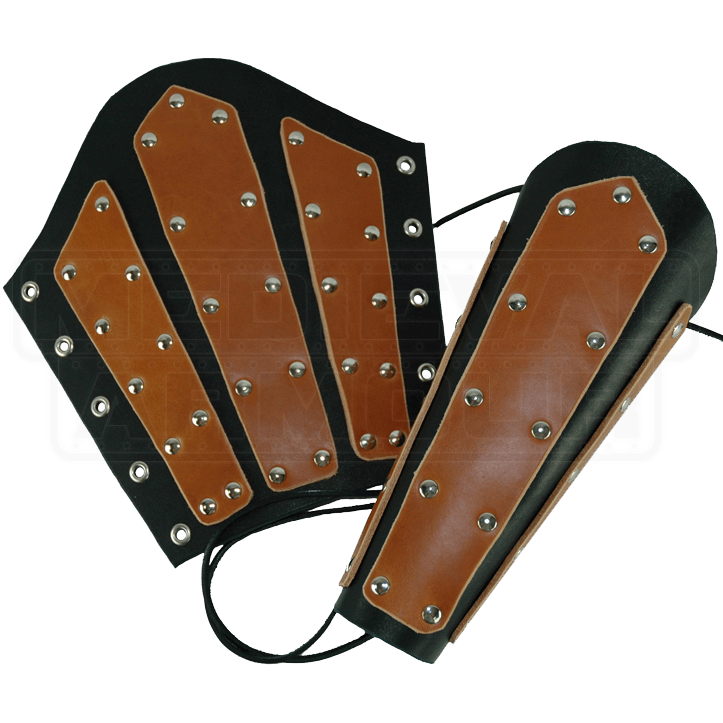 for additional protection and appeal, these arm bracers will protect your forearms in style. These bracers have a flattering shape with an arched top. Our Adventurers Arm Bracers come in a variety of colors. Get them in contrasting colors for an interesting look. The accent color is the top color. The arm bracers lace up in the back. When selecting your colors, the Color selection is for the base piece of the arm bracers. The Accent Color selection is for the top accent pieces.